http://www.beadjewelrymaking.com Find Handmade Beaded Flower & Beaded Jewelry made from Japanese glass bead & seed bead pattern. Free bead pattern, project, instruction on bead necklace jewelry making, bead flower making, arts and craft ideas, bead jewelry making & beaded flower making classes. http://www.justbearsandstuff.com/ Just Bears and Stuff is a unique gift shop located in Myrtle Creek, Oregon. Whether visiting the shop or browsing the website, you can enjoy one of the best selections of Boyd's, Gund, Cottage Collectibles, Quarry Critters, and more. http://www.bearsandblankets.com Bears and Blankets was created to help heal the spirit of children. They make blankets and give teddy bears and blankets to places such as women's shelters, hurricane victims and organizations that works with children in need. http://www.activewomen.com Activewomen.com is an online portal which provides inspiration, education, and recommendations for leading an active& healthy life. http://www.designsbylauramehr.com Laura creates artistic jewelry, pens, boxes, frames, mirrors, and many other object d´art using the ancient glass working technique of millefiori. She offers many unique and colorful pieces. http://www.spiritcharmhaven.com Find inner peace and awareness with Aromatherapy and Spiritual Healing from Vicki Taylor. http://www.emoonlightcreations.com Deb offers products from her line of healing designs. After she was in a bad cab accident, she taught herself how to paint and then turned her healing into a new career. http://www.hangingbudvase.com All vase creations are wire wrapped with old jewelry. Antique glassware is often used. Every piece is a one-of-a-kind. Lovely and inexpensive gift items. http://www.cookielee.com Designer-inspired, fine fashion jewelry. Priced affordably. Sold exclusively through consultant sales. http://www.hilaryshandbags.com Hilary creates beautifully constructed, handmade, one of a kind ribbon bags. They're and reasonably priced so you can have one for every outfit. Crafted with the homemade touch! 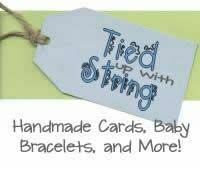 Products include Christmas and greeting cards, beaded bracelets for all ages, gifts, a parent resource guide, personalized letter from Santa and holiday decor! http://www.white-wings.com White Wings offers custom designed jewelry, fine art& crafts. We also offer 'ready to wear' and faith based jewelry& art. http://www.ungalwelapoma.com Preserving Native American history is accomplished as "Woman Who Swims with Fire" fuses history with art, creating floor cloths, placemats, desk mats and her sketchbook quality White Buffalo Calf Journals. http://www.rhodieware.com Handmade Functional Pottery with Rhododendron applied in traditional semi brush technique. http://elleandelle.com A designer's showcase for artists and artisans. You don't need a web page to join us! It's fast, easy and AFFORDABLE! http://www.TheGoatGame.com Break free from baa-aad dating behaviors. The Goat Game is a women's dating and relationship therapy game that promotes healthy behaviors; thereby decreasing the statistics of domestic violence. Inner Clarity Life Coaching Sandy Reed, Certified Life and Career Coach, and small business owner, is an advocate for entrepreneurs who are ready to live-up to their full potential and create a business and life they love. She provides personal coaching and teleclasses, as well as free products and resources designed to empower her clients. The Perfect Black Boomer Top This site is the home of the Perfect Black Top, a European-inspired black stretch top that I designed after visiting Spain. My boutique customers absolutely love it. They rave about its versatility, the look, the comfort and the fact that they just can't find anything like it anywhere else! Last year my son and I decided to bring the Perfect Black Top to the rest of the world via the internet. The result is www.perfectblacktop.com. Check it out!